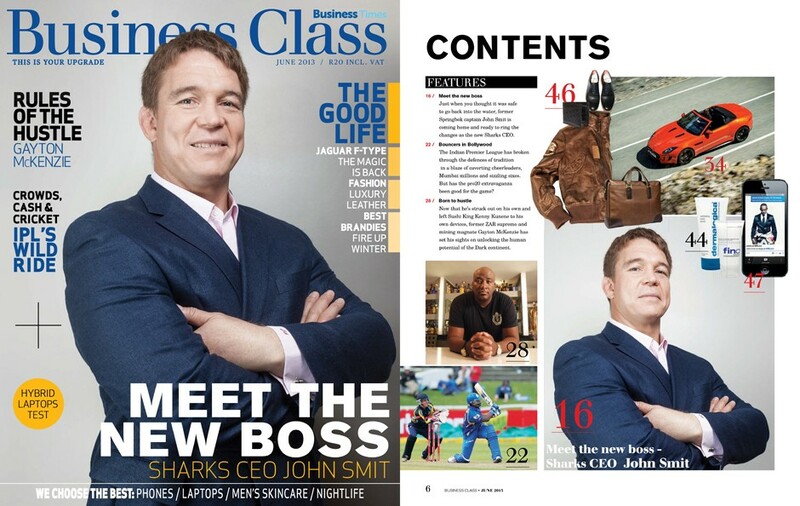 A couple of weeks ago I received an email from my good friend Rob, a talented journalist based in london, telling me that the Editor of Business Class (South Africa) was looking for an Editorial photographer and that he recommended me – Cheers Rob! 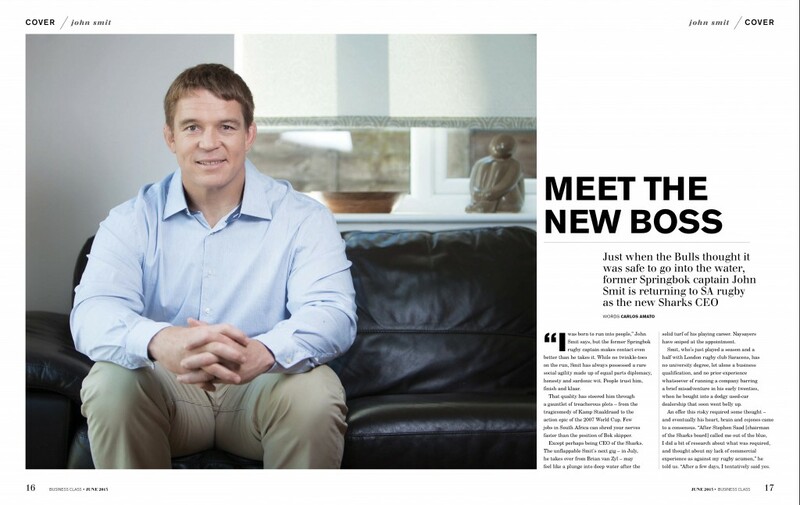 After a couple of emails and some info about the brief I arranged to meet John Smit at his house on the week-end. Veronika, the Make-up artist and I arrived at 10:30am to find a family ready to move house. Boxes everywhere. Two beautiful beautiful children running around and their pregnant mummy trying to keep them out of our “Working space” (a.k.a the front room!). 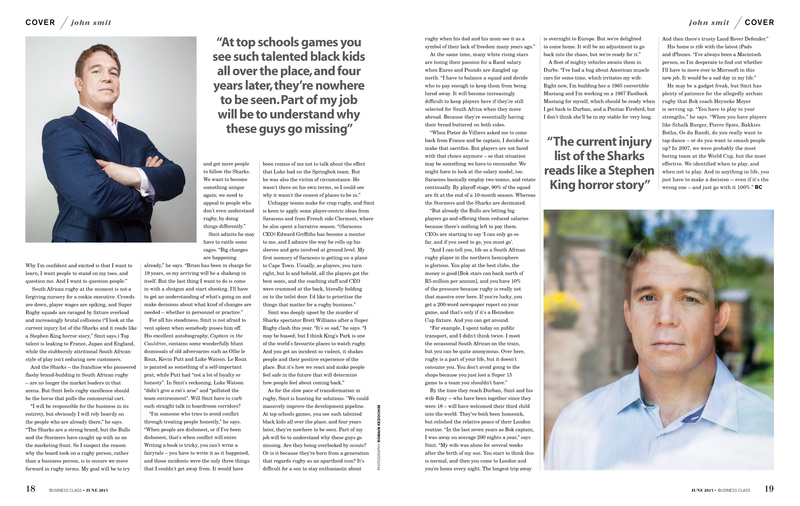 But thankfully, John was so nice to work with, it was ridiculously easy. We wrapped it all up in 1h with 30mins for setup prior to that ( in other words moving boxes so that this big fella could stand against the wall!). 3 setups: 1 for the cover, 1 for the inset (in his lounge) and 1 for safety. See the results below. And let me know your thoughts!